With a name like "The World's Luckiest Fishing Village," Destin is a town that takes their fishing very seriously. That's why the 15th Annual Harborwalk Marina Destin Cobia Tournament is one of the highest anticipated events of the year. Weigh-ins will take place at the Harborwalk Marina (66 Harbor Blvd, Destin, FL 32541). Anglers come from all across Northwest Florida (along with some visitors, too) to compete for cash and prizes. The tournament begins in March and ends on May 6th with an Awards Ceremony at Harry T's (46 Harbor Blvd., Destin, FL 32541). There are many categories to the tournament, including 30 foot and under, ladies, senior, junior, pee wee, and more! Anglers look forward to the excellent payout, in which last year over $35,000 in cash and prizes were awarded. All proceeds benefit the Miss Destin Scholarship Fund, helping local girls further their educational goals. 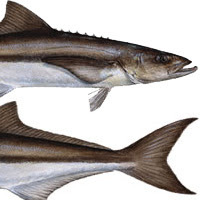 Even though the tournament has already begun, as of today (3/7/11), no one has caught the first Cobia! Join us this spring in one of many Destin and Ft. Walton Beach vacation rentals, and maybe you can take home the prize!